All Posts Tagged With: "Arbonne skincare"
I truly love Arbonne skincare products because they work great on my sensitive skin. They feel nice and luxurious on the skin, and smell very soothing. Check out one of their latest product launches the Arbonne RE9 Advanced Retexturizing Serum in Lotion. Commit to giving dry, flaky skin the boot with this double-duty body lotion containing serum! Provides all-day hydration while offering gentle exfoliation to remedy the appearance of dryness and flakiness. How to ditch blackheads for good! It seems like every time you squeeze one blackhead, you find dozens more to tackle! 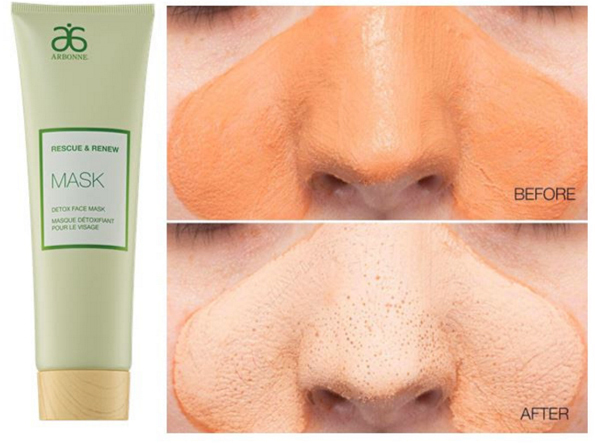 If you suffer from them, you’ll want to check out Arbonne’s new Rescue & Renew Detox Face Mask. The French pink clay mask utilizes an oil pulling technology which visibly draws out excess sebum without stripping the skin and resulting in smaller pores! Applying the mask directly on your nose is like hitting the jackpot for blackhead fighting treatments!